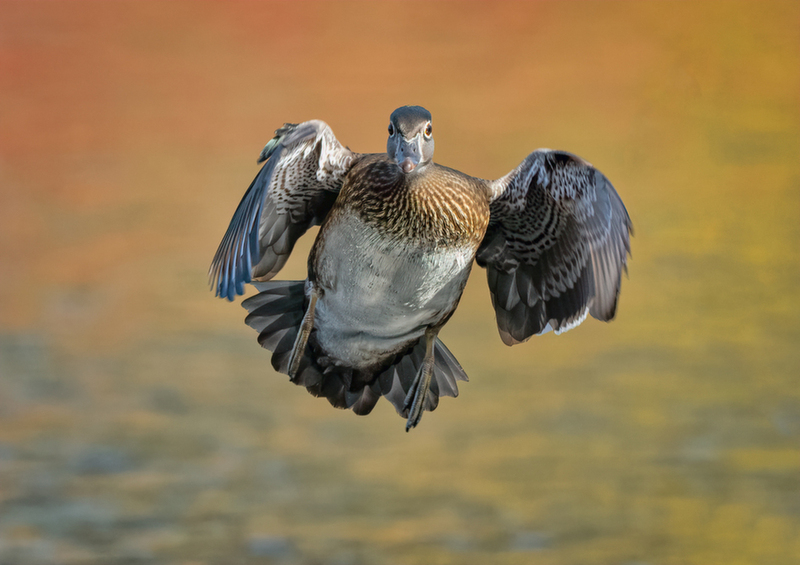 A female Wood Duck is flying right at me. Taken at a park in Portland where another member of this gallery spends a fair amount of time. What a great approach shot. The vibrant background color really makes her "pop" (in large view). Excellent. I recognize that BG.... the red Dogwood is now green! BG change with the season in the garden Duck pond. Nice work! super image ! in your face shot, good stuff and the cropping is well done.